After receiving an undergraduate degree in biochemistry, Olaf Sporns earned a PhD in neuroscience at Rockefeller University and then conducted postdoctoral work at The Neurosciences Institute in New York and San Diego. Currently he is a Distinguished Professor in the Department of Psychological and Brain Sciences at Indiana University in Bloomington. His main research area is theoretical and computational neuroscience, with a focus on complex brain networks. He has authored over 160 peer-reviewed publications as well as the recent books “Networks of the Brain” and “Discovering the Human Connectome”, both published by MIT Press. 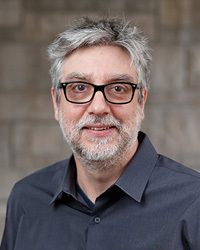 Sporns was awarded a John Simon Guggenheim Memorial Fellowship in 2011 and elected Fellow of the American Association for the Advancement of Science in 2013.